Judy Hopps and Nick Wild have identified the suspects. It's up to you to track them down and solve the case. Get ready for crime-solving fun based on the Disney animated feature Zootopia! Judy Hopps and Nick Wild have identified the suspects. It’s up to you to track them down and solve the case. Search for hidden evidence that matches your suspect. 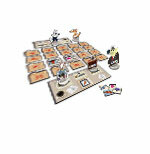 The first player to find the evidence and nab three criminals wins! 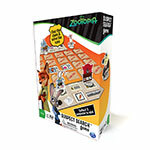 Bring home the crime solving-fun of Zootopia with Spin Master Games! Judy Hopps and Nick Wilde have identified their suspects. It’s up to you to track them down and solve the case! Flip a tile and find evidence that matches your suspect. Tracked down 3 suspects? Case solved! You win! Zootopia Suspect Search is for ages 7+. No batteries required.